Note: this chart has been updated with 2005 data. 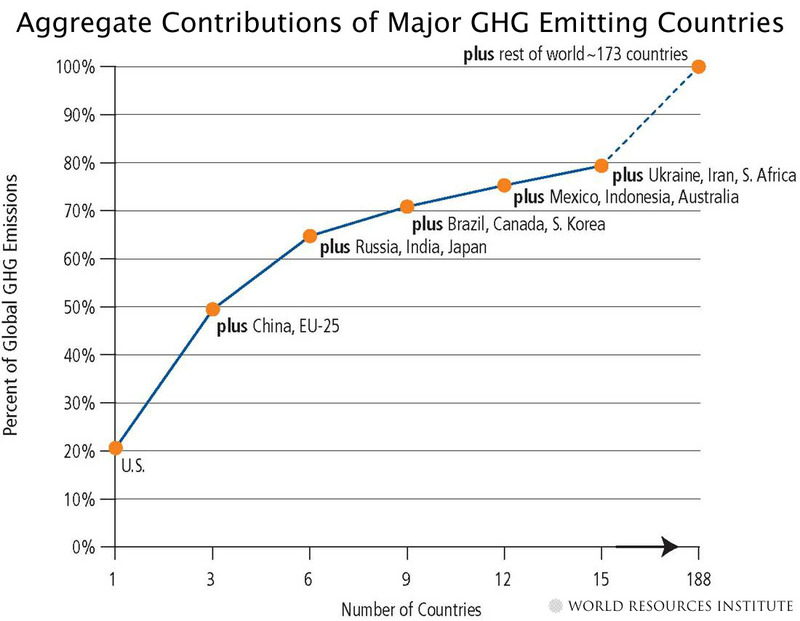 This chart shows how emissions from the major emitting countries contribute to the world total. Together, the 25 countries with the largest GHG emissions accounted for approximately 83 percent of global emissions in 2000. WRI, CAIT. All data is for the year 2000. Moving from left to right, countries are added in the order of their absolute emissions with the largest being added first. Figures exclude CO2 from land-use change and forestry and emissions from international bunker fuels.